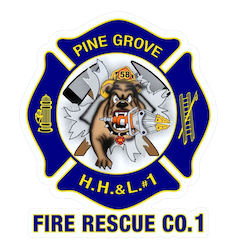 Welcome to the Pine Grove Hose, Hook & Ladder Fire Co. #1. 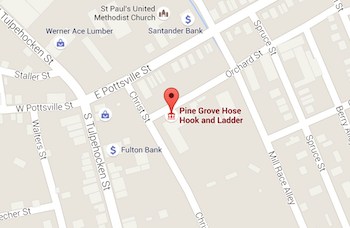 We are located in Pine Grove Borough in Schuylkill County, Pennsylvania. We have 1 engine, 1 engine/rescue, 1 pumper/tanker and 1 brush unit. We are also part of the Joint Terrorism Task Force Air Monitoring Team.